The Surrey II is inspired by the classic hiker style but at home striding down a city street. Loaded with premium features like 200 GM of Thinsulate™ insulation, slip resistant rubber tread, and fashionable felted wool collar, the Surrey II will be your go-to boot. Iâm so sad, these with another pair of Kodiak boots are my favorites! I go back and for between the two! Iâm sad though as I got them last year 2017. I also took these to a shoe repair shop and he stitched the sole back on, along with gluing! Theyâre too expensive for such poor quality. Also, Iâve recommended these boots to multiple friends, and they purchased! I have owned these boots for about a week. And decided to wear them for the first time on my trip to Seattle. I didnât need to break them in, they looked great with every outfit, the only thing that is a bit off for me in the shape they have because of the tongue being thicker. But from the side theyâre cute. One day I was at REI (this is starting to become my personal "once upon a time"), when I stumbled into these boots... and stumbled no more. My meet cute with these boots began as I tripped romantic-comedy-style into the display (I am a tad too tall) and laid eyes on these. It was as embarrassingly unfortunate as Harry singing "Surrey with a Fringe on Top" in 1989's When Harry Met Sally and running into his ex. Good things came out of my clumsiness though. From then on love at first sight turned into adventures together filled with an up in my agility in hiking and comfort. Rivers? No match for these boot's waterproofing. Snow? Definitely wear gators or snowpants with the liners that go in the boot, but these will do nicely. Mud? No problem. Hot climates? These are breathable and keep you at the right temperature, never letting you get the dreaded hiker's sweaty feet. 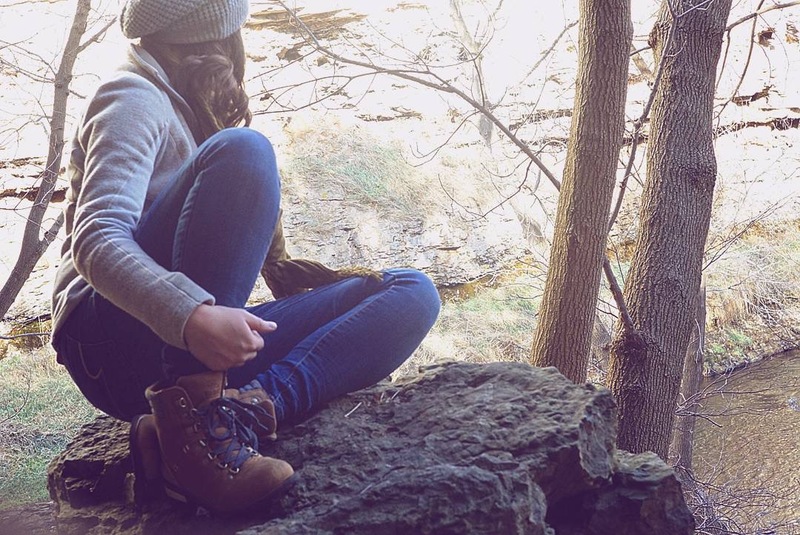 Hawaiian hikes didn't even phase these boots. Cold climates? I was warm through the blizzards of Minnesota, and stayed dry. I wear an 8 in these, fitting into the lower end of my size spectrum of being a typical 8 - 8 1/2.